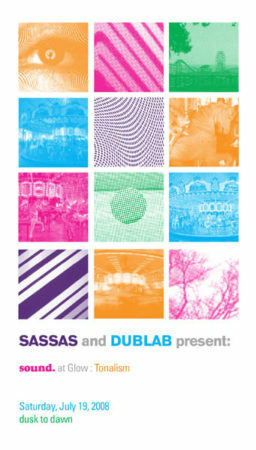 The first-ever free SASSAS concert event, Tonalism, a dusk-to-dawn collaboration with dublab took place in the historic Looff Hippodrome carousel building on the Santa Monica Pier as a part of the GLOW festival sponsored by the City of Santa Monica. Performances by: Albert Ortega, Steve Roden, Unrecognizable Now and White Rainbow, video by Cal Crawford, Carole Kim and Matt Sheridan and dublab soundsystem DJs Frosty, Carlos Nino, Hoseh, Jimmy Tamborello, Sam Cooper, Katie Byron, Ale and Part Time Punks DJ Michael Stock. Albert Ortega hails from Los Angeles. 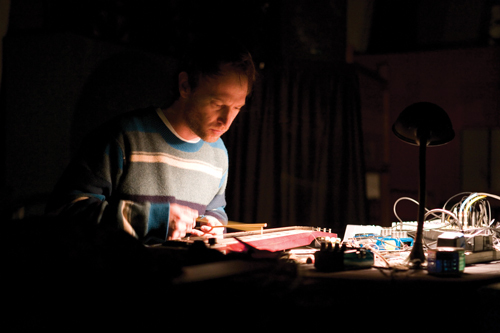 His dendritic love has spread around various regions of the Earth in the form of small-run releases, homemade acoustic instruments and analog devices, performance, sound installation, and most recently, film. Albert has installed/performed both solo and collectively at various Noise venues, festivals, residences, and indigenous outdoor areas such as the Los Angeles River, Barnsdall Park, Old LA Zoo Park, Al’s Bar, SoundWalk, TELIC, The Museum of Jurassic Technology, Villa Aurora, Henry Miller Library, Sonorities Festival 2005 (Belfast), Sonopticon 99 (ActionSpace, LA), Field Effects 4, SCI-Arc, Hollymatter, The Compound, Beyond Baroque, CEAIT Festival 2003, LineSpaceLine, the Smell, Knitting Factory, the Lyman Residence and Southwest Museum. Selected collaborations include: Ben Wolcott, Rick Potts, Marc Levinthal, Jeremy Drake, David Rothbaum, Mitch Brown, Ezra Buchla, Brian O’Riley, George Nussbaumer, Anla Courtis, Bob Bellerue, Joseph Hammer, Leticia Castaneda, Geoff Brandon, Consolidated Lint, Mummers, Paremecial Wedding, Clark the Goat, and Smegma. He occasionally performs under various monikers, currently as Dirty Branchez. 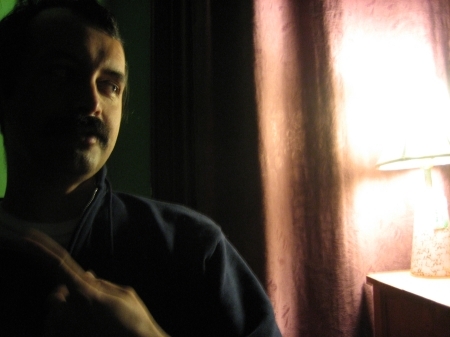 Steve Roden is a visual and sound artist from Los Angeles. 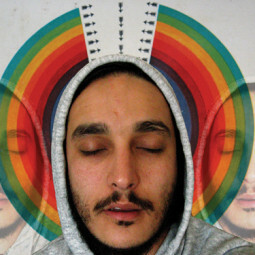 His work includes painting, drawing, sculpture, film/video, sound installation, and performance. Roden’s working process uses various forms of specific notation (words, musical scores, maps, etc.) and translates them through self invented systems into scores; which then influence the process of painting, drawing, sculpture, and sound composition. These scores, rigid in terms of their parameters and rules, are also full of holes for intuitive decisions and left turns. The inspirational source material becomes a kind of formal skeleton that the abstract finished works are built upon. In the visual works, translations of information such as text and maps, become rules and systems for generating visual actions such as color choices, number of elements, and image building. In the sound works, singular source materials such as objects, architectural spaces, and field recordings, are abstracted through humble electronic processes to create new audio spaces, or ‘possible landscapes’. 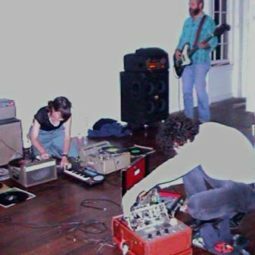 The sound works present themselves with an aesthetic Roden describes as “lower case” – sound concerned with subtlety and the quiet activity of listening. Roden has been exhibiting his visual and sound works since the mid 1980’s, and has had numerous solo and group exhibitions internationally. Recent solo shows and projects include Susanne Vielmetter Berlin Projects, Nicole Klagsbrun Gallery New York, Studio La Citta Gallery Verona Italy, San Francisco Art Institute McBean Gallery, Fresno Metropolitan Museum of Art and Science, Tang Teaching Museum Skidmore College, and Gallery E/static Torino. Recent group exhibitions include the Mercosur Biennial Porto Alegre Brazil, Centre Georges Pompidou Paris, the San Diego Museum of Contemporary Art, the UCLA Hammer Museum Los Angeles, the Sculpture Center NY, the Museum of Contemporary Art EMST Athens, and the Drawing Room London. NOTE – The event was shut down prior to Steve Roden’s performance. Unrecognizable Now is a Portland, Oregon duo that mixes live instrumentation with laptops and electronics to create unique music often described as cinematic. Each song is constructed from bits of found sounds and basement recordings reworked to form a cohesive composition. Guitars mix with sine waves, drumbeats are built from chance sounds and stuttering delays while melodies float in and out of focus. The songs move fluidly from one place to another, evolving and never returning to where they started. 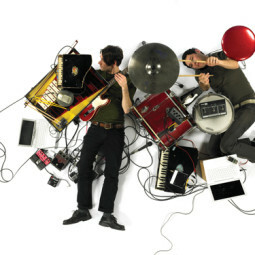 The two members of the group, Marc Fischer and Matt Jones, rely heavily on their skills as multi-instrumentalists and improvisors for both recordings and live performances. 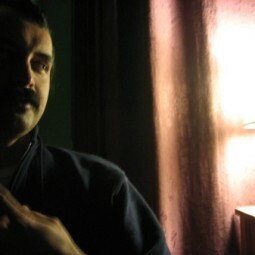 In 2004, the group began a collaboration with Portland filmmaker Rob Tyler. 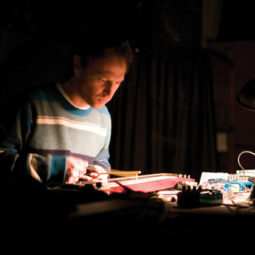 As an experiment, Unrecognizable Now were given several of Tyler’s experimental films to score. The interplay between the music and films complemented one another and the collaboration continues. 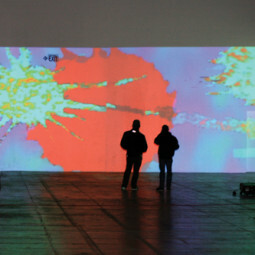 Recently, Rob Tyler has also become a part of Unrecognizable Now’s shows by providing projections of films that he manipulates live to fit the music. Over the last three years, Fischer, Tyler, and Jones began curating the a series of audio/visual events entitled Vision + Hearing. Exploring the close relationship between sight and sound has become a major focus for the group. 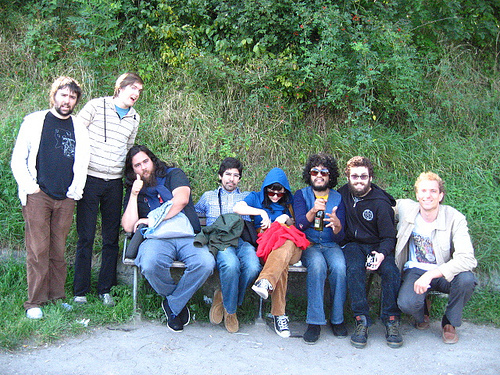 Unrecognizable Now’s debut album, In a Cave or a Coma, was released on the Pehr Label in late 2006. The album, an enhanced CD, features 10 songs plus a short film by Rob Tyler with music by Unrecognizable Now. 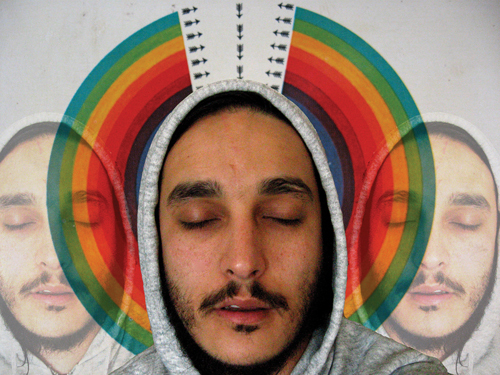 White Rainbow is Adam Forkner from Portland Oregon. Laser rainbow psychedelic electronic trance clouds, hemi-sync brainwave manipulations and phaser fuzz solos, ecstatic chanting and brain melt echo-arpeggio synths. 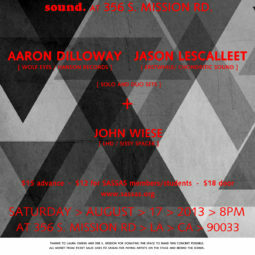 The dublab soundsystem is a collective of the planet’s most progressive music selectors. The dublab soundsystem crosses genres and defies classification. Each DJ digs deep to find rare gems. 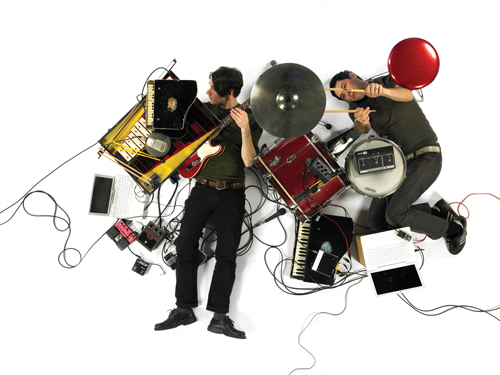 Their mission is to share beautiful music with wide open ears. Whether dublab is bringing dance floors to a boil, exploring magic experimentalism or spinning far out, eclectic sets lucky listeners will absorb all shades of future roots sound. DJs featured at Tonalism include Frosty, Carlos Nino, Hoseh,Jimmy Tamborello, Sam Cooper, Katie Byron, Ale and Part Time Punks DJ Michael Stock. Bronson’s work has been exhibited in many national and international venues including Artpace, the Walker Art Center, the Pompidou and the Matrix Gallery at the Berkeley Art Museum. She is the 1998 recipient of the MOCA/Citibank Emerging Artist Award and was awarded a 1999 Louis Comfort Tiffany Grant. In 2000, she was the Govett Brewster artist in residence in New Plymouth, New Zealand. Bronson was awarded the 2001/2002 Freund Fellow artist in residence at the Saint Louis Art Museum co-sponsored by Washington University. 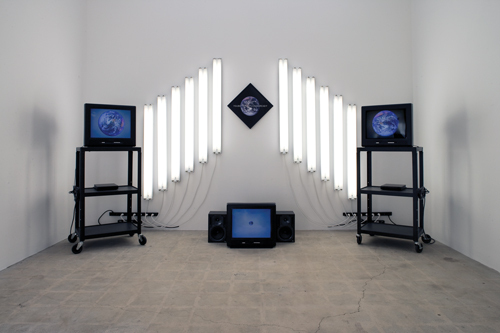 Her recent solo exhibitions occurred at Lombard-Freid Projects, New York, the Museum of Contemporary Art in San Diego and the Pomona Museum of Art. 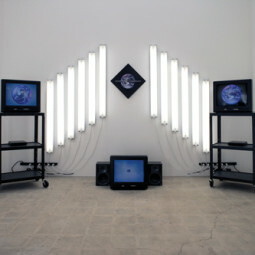 Cal Crawford is a Los Angeles based video, sound and installation artist. With a strong interest in the manipulating properties of melody and the intensities of projected light, Crawford attempts to exploit these properties so as to put their aggression into question while maintaining there emotive abilities. Recently, Crawford performed a short video performance at the Outpost for Contemporary Art which consisted of hypnotic strobes, calming landscapes, and amateur pyrotechnics. In October Crawford will exhibit work at Los Angeles Contemporary Exhibitions as part of LA25, an initiative sponsored by Skadden/Arps law firm and curated by Tom Solomon, which brings together 25 young Los Angeles artists working in a variety of media and interests. 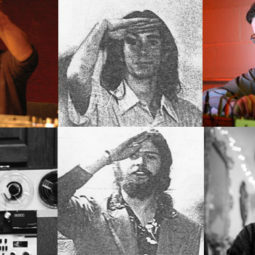 A particular love for live improvisational new music has fostered many sound/image collaborations with musician/composers including Nels Cline, GE Stinson, Jesse Gilbert, Mark Dresser, Vinny Golia, Hahn Rowe, Steve Roden, Sara Schoenbeck, Harris Eisenstadt, Joe Berardi, Jessica Catron, Leticia Castaneda, Albert Ortega, Ellen Burr, Catherine Lamb, Yorgos Adamis, Motoko Honda, Gilbert Nouno, Joelle Leandre, Carla Bozulich, Alex Cline, Scott Amendola. 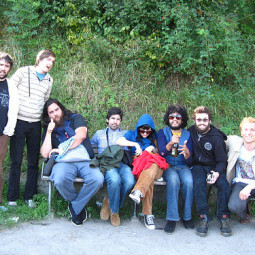 Wadada Leo Smith, Mark Trayle, Karen Elaine Bakunin, Nick Didkovsky, Daphna Naphtali, and Pheroan Aklaff. She has collaborated with the following dancer/choreographers: Oguri, Roxanne Steinberg, Michael Sakamoto, Shuriu Lo, Jesske Hume, Liz Hoefner, Hassan Christopher, Christine Pichini and Maya Gingery. A lineup of visual artists and filmmakers has contributed to past projects including: Astra Price, Maile Colbert, Mirabelle Ang, Rebecca Baron, Beth Bird, Eve Luckring, Adele Horne, Christine Marie, Bo Sul Kim, Ann Kaneko, Lisa Tchakmakian, Pablo Molina, and Alex Lorge. She has exhibited and performed widely in the US and abroad. Recent venues include the Museum of Modern Art, New York, Museum of Contemporary Art-Los Angeles, REDCAT/Disney Hall, the Getty Center, Springwave Festival/LIG Performing Arts Hall (Seoul, Korea), Trampoline: Platform for New Media Art (Nottingham, England), the Stanford Jazz Festival, Engine 27 (New York), Arizona State University-West Interdisciplinary Arts & Performance Program (Phoenix, AZ), the Knitting Factory (LA), ArtSonje Center (Seoul, Korea) plus numerous festivals and performance series. Eyebeam Atelier in New York commissioned a piece on the web and the performance/installation REVERSE HOUSE KIT was featured in the DVD publication ASPECT vol2: New Media Artists of the West Coast. 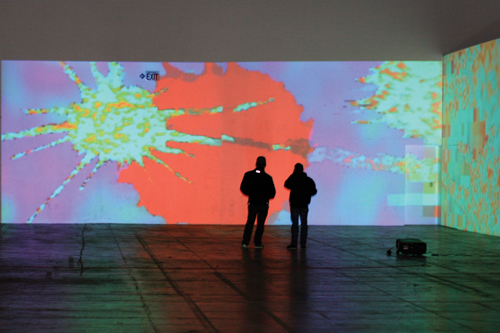 Matt Sheridan makes animation for multi-channel installation and cinematic presentation. While working for MTV, Nickelodeon and the NBA, he also taught animation at NYU, SVA and Pratt Institute. His short films Sophie (1995) andSynthesis (2001) have been broadcast and/or screened in festivals in Brazil, Iran, the Netherlands and France, where the former was screened at Centre Pompidou. Matt is now an MFA candidate at Art Center College of Design’s South Campus in Pasadena, where he has an upcoming show June 25 to July 3.